A Horse's Tail - What Does It Use It For? How Is A Horse's Tail Put Together? A horse's tail is unique. Most other grazing animals, including all other equids, have narrow tails with a small tuft at the end - a fly swatter. Look at a horse's tail and you will see something quite different - a fountain of hair that appears to sprout right from the horse's hindquarters. In fact, the horse's tail is quite short. If you feel the tail (do not stand directly behind to do this) you will feel the central part of the tail, known as the dock, which comes down only to just below the buttocks (on average). Like all tails, the dock is an extension of the horse's spine. However, the dock is hidden and covered by extremely long hair. On some animals, if not trimmed, the hairy part of the tail can sweep the ground. 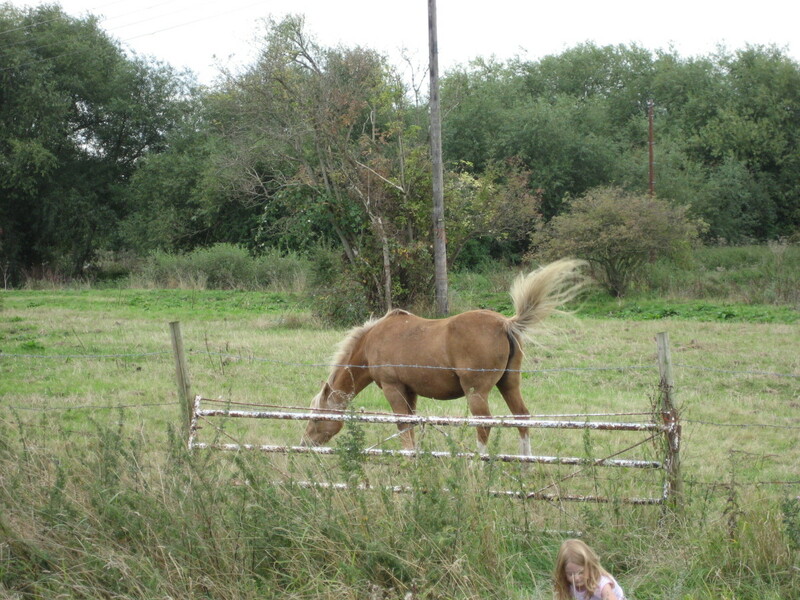 So, why do zebras and donkeys have thin tails with tufts, whilst horses have all of this splendid hair. The answer is: Climate. A zebra or donkey also has a short, upright mane. 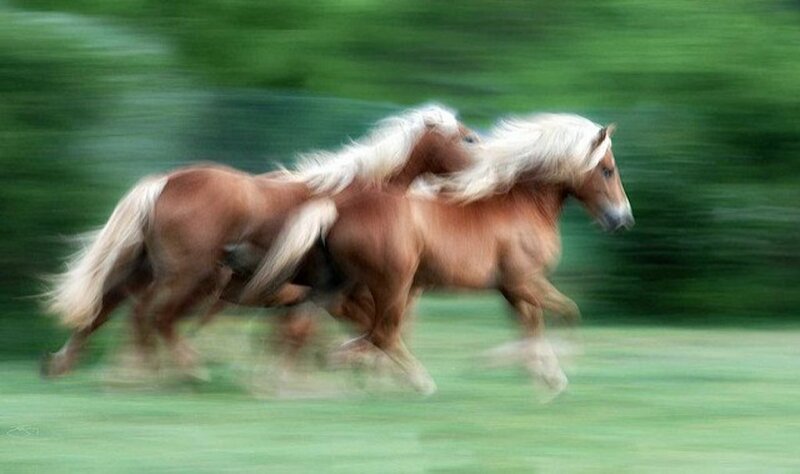 Horses have very thick, flowing manes. Donkeys are desert animals and zebras dwell in the tropics. Horses evolved on the cold steppes of North America and then crossed the land bridge to Asia. They promptly became extinct in North America - perhaps they could not properly compete with the large numbers of large ruminants on the great plains. Both of these parts of the world get extremely cold in winter and are known for very strong wind. A horse that is cold will tuck its tail in between its buttocks, shielding and protecting the almost hairless area underneath. Therefore, horses have thick tails to keep warm. (The thick mane also helps by keeping the ears warm...an animal loses a lot of heat through its ears). Breeds that have been kept in warm climates for many generations do not lose the hairy tail, but the hair becomes thinner and finer. Appaloosas, for some reason, often have 'rat' or almost hairless tails and the curly gene in horses is associated with very short tails. 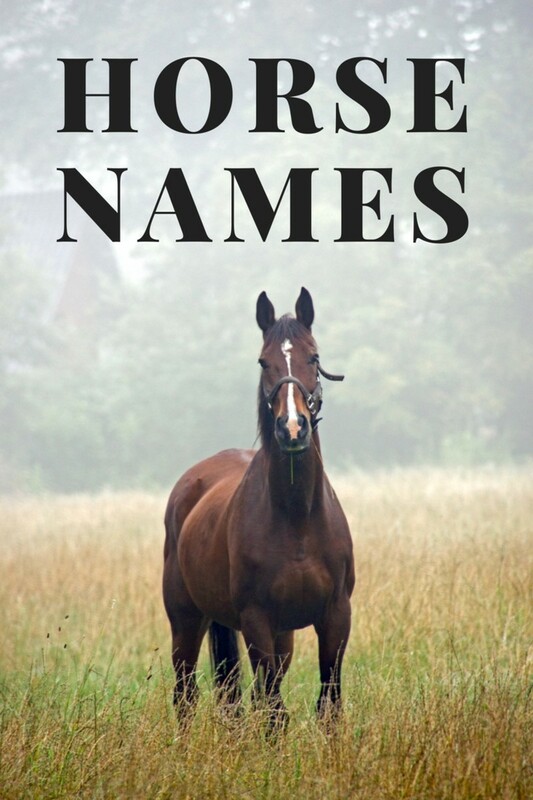 What Does A Horse Do With Its Tail? 1. Warmth. As previously mentioned, a cold horse will use its tail to prevent heat loss from the area under the tail and may bring its tail all the way between its legs to cover the sheath or udder. 2. Fly protection. Horses use their tails as fly swatters in the summer. If the flies are bad, horses in a field will often be seen standing with one's head next to the other tail, keeping flies off each other's faces. 3. Body language. A flattened tail may mean fear (unless it's cold). A tail lifted over the back indicates enthusiasm. A swishing tail may be swatting at a fly, or it may be expressing irritation. A horse that swishes its tail intently while being ridden, or holds its tail in a tense attitude, especially if crooked, is an unhappy horse - likely in pain, over-bitted, or reacting to tension in the rider. A swished tail combined with pinned ears is a clear warning of forthcoming aggression. Docking a horse's tail was once common practice. Up until the late nineteenth century, for example, all horses but racehorses routinely had docked tails. It slowly began to fade out in the early twentieth century. First riding horses were no longer docked, then carriage horses. Draft horses, however, continued to suffer the procedure and, in some places, still do today. Docking has been illegal for a long time in most of Europe. It is legal, and still sometimes performed, in the United States. 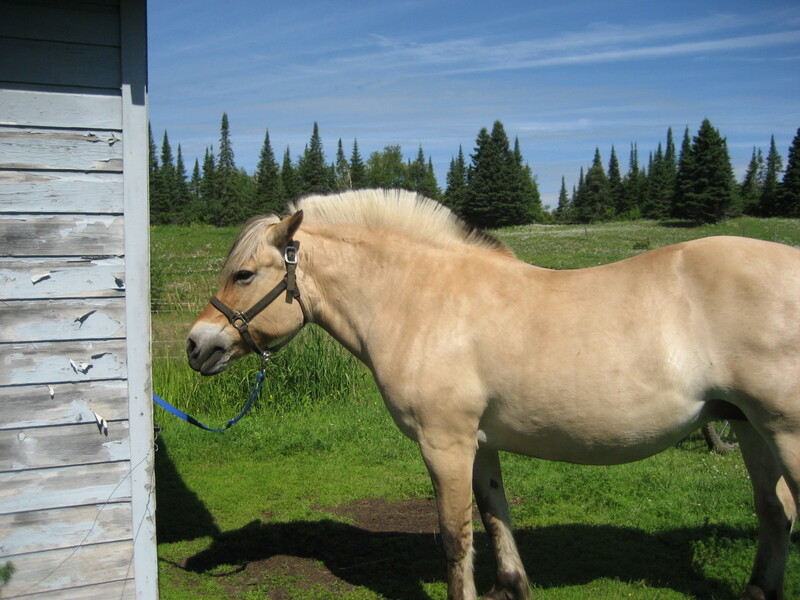 Part of the dock is removed, and most of the long hair will stop growing, leaving the horse with a stubby tail that has no hair below the bottom of the curtailed dock. This was believed to prevent the horse's tail from being caught in harness or the lines when being driven. Some also admitted that it saved the time needed to brush a long tail. Over recent decades, more and more horsemen have come to believe that docking is unnecessary and inhumane. More and more countries have made the practice illegal. It is particularly unpleasant for the animal in warm climates - a docked horse needs artificial fly protection far more than one that still has its tail. In all but the draft horse industry it is also now considered aesthetically unpleasant. However, there are still holdouts that insist that a draft horse is only 'correct' with a short tail or who still believe that there are safety issues connected with harness and a full tail. Personally, I am against docking the tail of any animal and think all animals look better with the tail nature gave them. Needless to say, over the years, humans have not been able to resist all that wonderful long hair. Tails are traditionally braided for showing in most English classes (western riders prefer to leave the tail loose). The standard show braid involves taking a thin piece of hair from each side and then the center, starting at the top of the dock. This is repeated all the way down the dock, and then the long hairs are formed into a standard braid, which is then folded up. This is considered to define the horse's conformation and look overall neater than a loose tail. Commonly, the mane is also split into sections, braided and then the braids tucked into buns. Some breeds are judged by the fullness of the tail and the quality of the hair. When showing these breeds, it is not uncommon to braid the entire tail into a thick braid the night before the show. When removed, the tail will temporarily be wavy and look fuller. 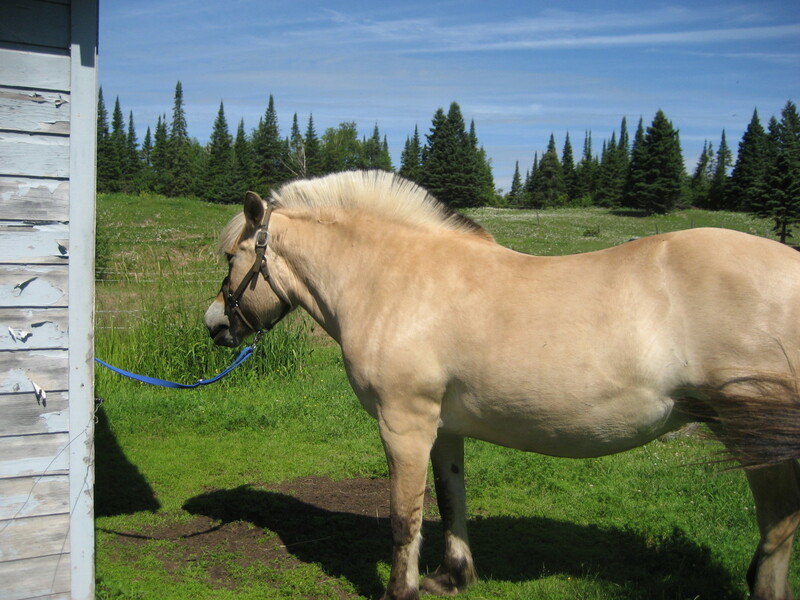 Draft horses that are not docked traditionally have their full tails braided and then put into a bun...a sort of tail 'updo'. For showing, ribbons are often woven into the braided tail. If you watch eventing, you will sometimes see a bag or a net over the horse's tail for the cross-country phase. This is to save time later by keeping the tail clean. The tail is often loose braided to make sure it all stays in the tail bag. Finally, you may sometimes see a red or green ribbon tied into the top of the horse's tail. This tradition comes out of the English horse field. A green ribbon is put on a young or inexperienced horse to warn other riders that it may do something unpredictable. A red ribbon is a danger signal - it is put on a horse that can't be trusted not to kick. A horse's tail, if not trimmed, may well sweep the ground...picking up all kinds of dirt and foreign objects in the process. For this reason, most domestic horses have their tails trimmed. There are two fashions in trimming, and the correct one is discipline-specific. One is to 'bang' the tail, which is commonly used in dressage and is by far the preferred style for all show horses in England. This actually requires two people. One person lifts the horse's tail slightly - a stationary horse carries its tail flat against its hindquarters, whilst when moving it lifts it slightly. The second person then puts their hand around the tail with the bottom of the hand at the desired length and then uses clippers or shears to trim the tail. 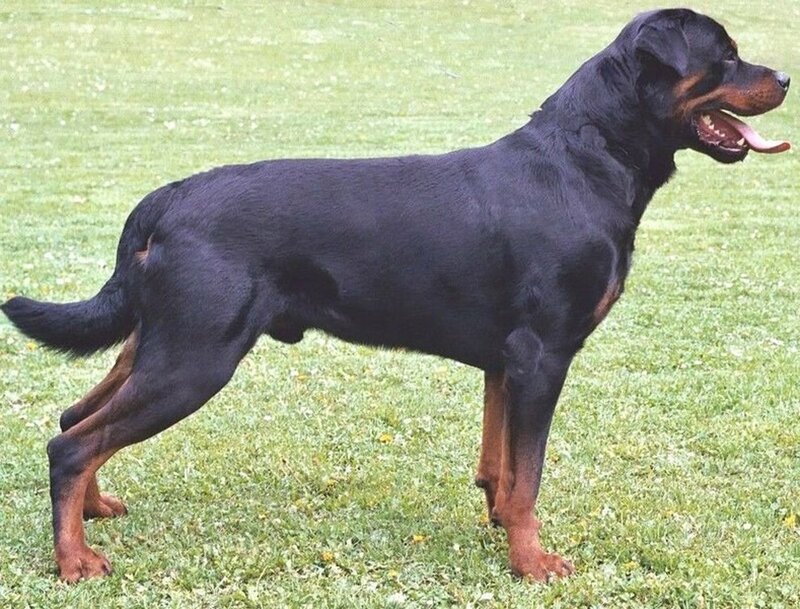 The length varies according to breed and discipline. 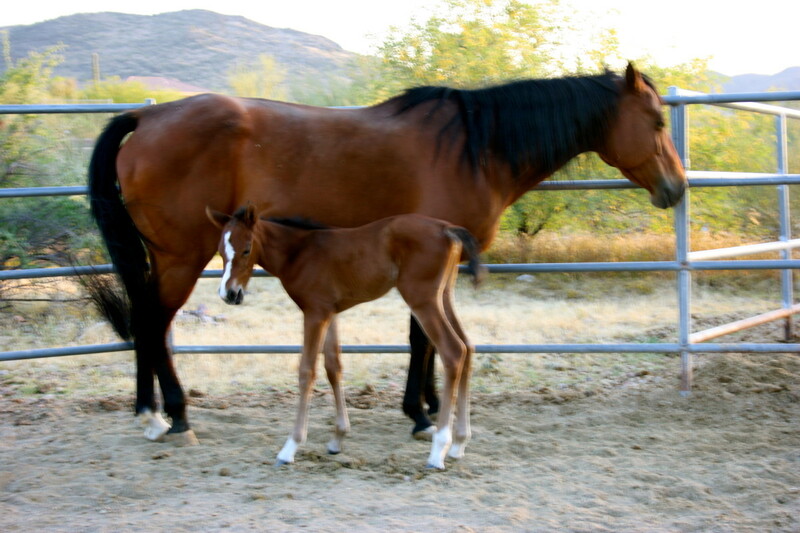 Quarter Horses, for example, tend to wear their tails shorter than Arabians. The second method gives a more natural looking tail and is popular in hunters and jumpers in the US. Again, an assistant should lift the tail slightly. This time, the trimmer will simply even off each hair, cutting the ones on the outside of the tail slightly shorter. The goal is for the tail not to look trimmed at all. Before trimming, it's best to find out what judges in your area prefer. Pulling is used to thin the hair on the dock. A pulled tail generally cannot then be braided. When pulling a tail, the hair on either side of the dock is carefully plucked using a comb, avoiding the longer hairs and the center of the tail. I don't personally recommend pulling tails because it's easy to ruin your horse's tail that way - and it takes weeks to grow back. Many people become obsessed with their horse's tail, and do all kinds of things to keep it in good condition. It is true that a tail can benefit from a good conditioner, especially if showing. A proper tail conditioner will also make the tail easier to brush and comb. Most riders will give the tail a quick brush through before riding. Combing the tail is generally only done before shows as it can thin the tail. It is, though, important to keep the tail clean. Ticks are particularly likely to show up on the dock. Tail rubbing is a disaster for the show rider. 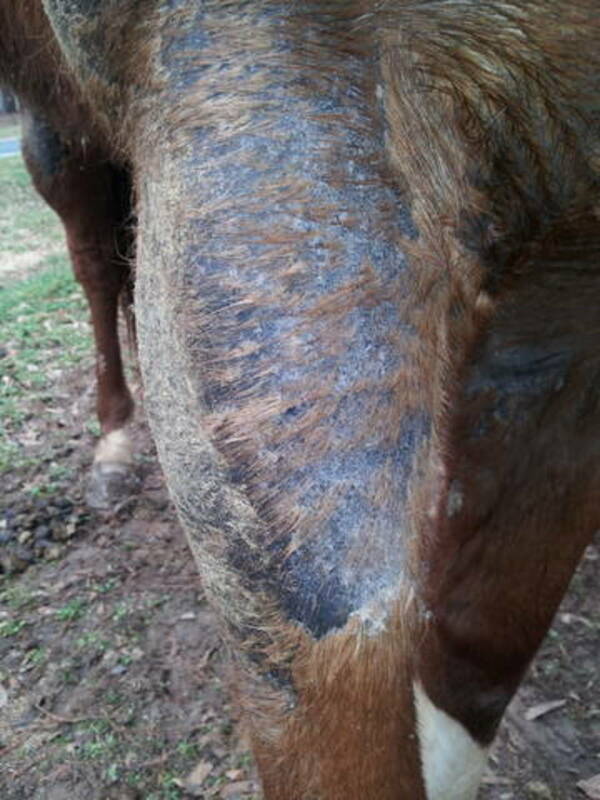 A horse that is suffering from some kind of irritation may rub its dock literally raw. Tail rubbing is associated with sweet itch (allergy to midges), but can also be caused by other allergies, mange, lice or pinworm. Therefore, it's something that should be checked on, especially as lice and pinworm can easily be dealt with. Standard dewormers also kill pinworms. In rare cases, a horse may develop tail rubbing as a habit. The cure depends on the cause, although applying fly repellent before turning the horse out is often a good measure (and most horses will appreciate this anyway). in asia the monks use horse tails with handles to brush the flies away, much like a horse does. Are these horse tails with handles available here? This is the 'keep the tail' movement!! Very nice article, I love manes and tails.